Ahmed Altamirov was detained in Bosnia in March 2018 at the request of Russia through the Interpol line. Russia accused him of participating in terrorist organizations in Syria. We have conducted our own investigation, and we can say with full confidence that Ahmed have never visited Syria. He lived and worked in Turkey. 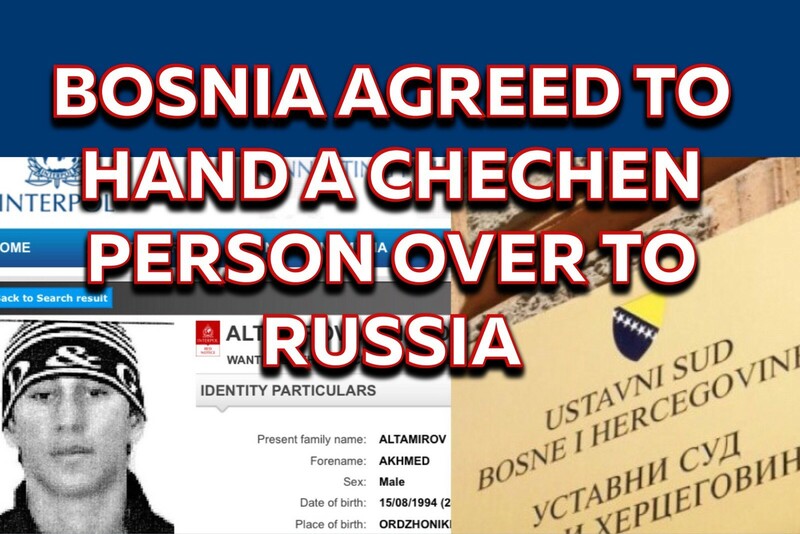 Despite the absurdity of the accusations, the Bosnian court has decided that Russia is a legal state, and there are NO obstacles to the extradition of a Chechen person. The Ministry of Justice of Bosnia issued the extradition permission as early as August 13, however, the defender was not informed of this! Now the case is being heard by the ECHR. In a week, the Constitutional Court of Bosnia and Herzegovina will make a final decision.